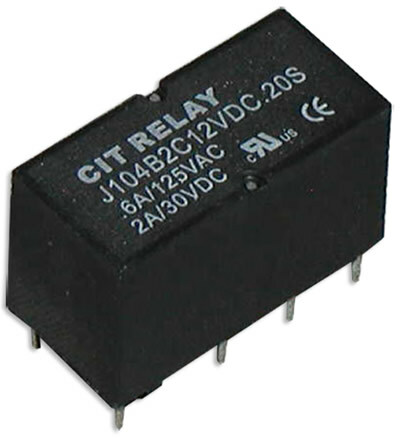 The J104B Series relay offers bifurcated contacts for high reliability with high sensitivity. Conforming to FCC Part 68, this PC pin mounted relay offers 2C contact arrangement with coil voltage ranging from 3VDC up to 48VDC with coil power options of .15W or .20W. Dimensions for the sensitive relay are 20.0 x 9.8 x 10.8mm. UL Agency approval for this twin relay is E197851.